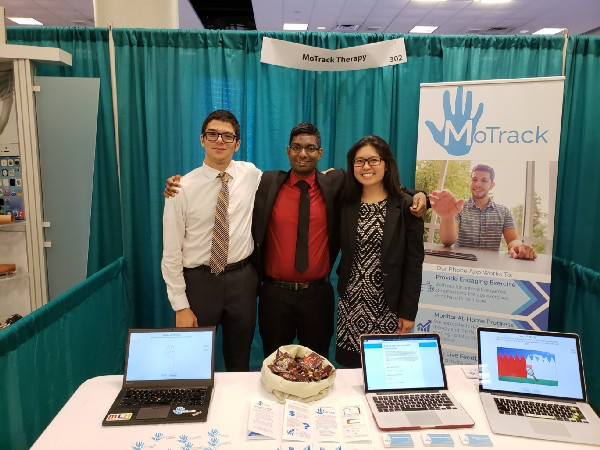 DRF is excited to announce our investment in MoTrack Therapy, a company improving the physical therapy experience for patients by integrating their at-home exercises with a smartphone app, providing real-time feedback, long term improvement tracking, and fun games. Noncompliance with at-home physical therapy exercises leads to longer recovery times, repeat surgeries, and permanently impaired range of motion. Each year, millions of Americans suffer from a number of orthopaedic conditions including broken bones, arthritis, and tendon injuries. With their injuries, patients can lose a tremendous amount of independence, losing the ability to perform simple tasks ranging from driving, to cooking, to typing. In-clinic visits with physical therapists are very important for these patients, but another (often overlooked) component of a full recovery is the continuous care achieved through at-home exercises. However, these at-home exercises have several problems. They are difficult to do correctly, since patients are often only assisted by written instructions. There are no mechanisms of encouragement or engagement, leading to only 35% of patients being fully compliant. And the exercises aren’t all that fun to do, further decreasing patient motivation. These deficiencies in at-home exercises lead to longer recovery times, repeat surgeries, and permanently impaired range of motion. Additionally, therapists have no way of ensuring that their patients complete their exercises correctly, if at all, and cannot see at-home progress. This makes weekly diagnosis of progress more difficult and less efficient, as they must assess the patient’s condition on the spot. Progress each week must be written up manually in a series of notes, a time-consuming process. MoTrack Therapy is the solution to all these problems, starting with an entry market of hand and wrist therapy. MoTrack is an at-home hand therapy companion that uses the phone camera to track patients’ hands in real-time, providing live corrective feedback and ensuring the patient does each exercise correctly. These exercises are integrated with fun games, so patients are engaged and excited to do their exercises each day. And finally, they send summarized quantitative data to the therapist about the at-home sessions and the patient’s trends in performance over time so they know a) if the patient is doing their exercises, b) how the patient is doing, and c) how the patient is progressing over time. Patients receive better care and therapists can give better medical attention, bridging the gap between the clinic and the home. Team. Ben Pikus Rahul Yerrabelli have been dedicated to solving the problem of physical therapy adherence for over two years. While they started testing with a physical device in clinics, they saw clearly how a physical device would be costly and ineffective to scale. Instead, they pivoted it to a smartphone computer-vision based solution in order to solve the same problems of therapy compliance. As an investment team, we always discuss the merits of passion driven teams, vs teams who are “starting-up” for the sake of building a business, and Rahul and Ben fall squarely in the first category. Market. There is greater consumerization of healthcare services overall — we’re seeing this especially in the primary care services market, but physical therapy clinics are included in this new competitive market, since patients have limited insurance coverage and are paying out of pocket. The drive to produce higher quality but lower cost services necessitates technology enabled solutions to augment doctors, and brings healthcare experiences outside of the doctor’s office. We see this with trends in telemedicine, and companies trying to service low-intensity medical services directly in the home (Modern Fertility, Hims/Hers). MoTrack Therapy is doing the same, improving the effectiveness of physical therapy by drawing focus back to at-home exercises and reducing the time to recovery, increasing the extent of recovery, lowering cost, and increasing accessibility. Exciting technology. The team has shown preliminary signs that a computer vision solution could actually track hand movements to the appropriate degree, providing patients with feedback on their exercise form. 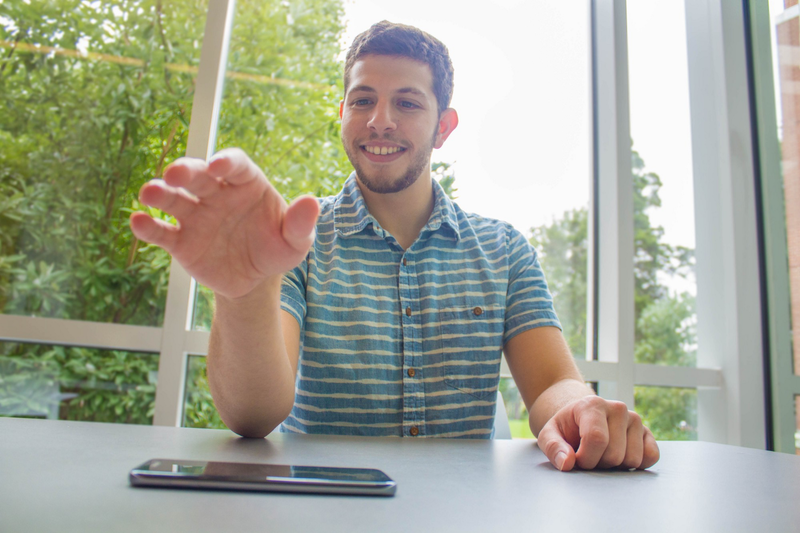 This technology allows the team to use just the camera of a smartphone to track the hand, reducing the need for bulky hardware and making the device even more portable and easy to use. While this an extremely difficult technical challenge, if they are able to crack it, we could easily see how the proliferation of smartphones and easy scalability of a phone app would make a now niche and expensive service like physical therapy accessible to everyone. We’re excited to back MoTrack Therapy as they expand the Dorm Room Fund community outside of our four core cities and build the future of accessible physical therapy. Dorm Room Fund is dedicated to supporting student founders across the country and helping them reach new heights. Working on a startup? Get in touch on twitter or here. If you’re interested in keeping up to date with DRF, signup for our newsletter here.